For those with a sweet tooth. 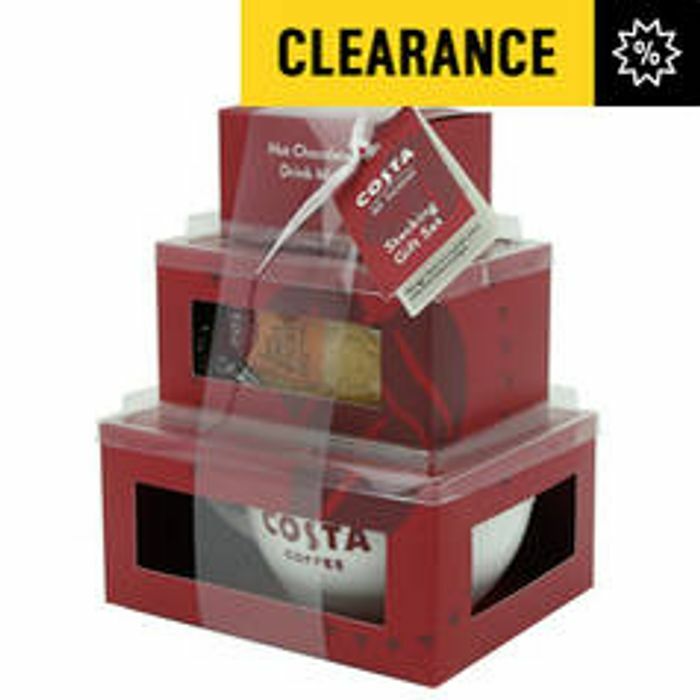 This Costa stacking set comes with a sachet of delish hot choc, a mug to mix it in, and some ginger biscuits to fill them with the festive feeling. Includes Porcelain Medio Cup with Costa decals, 48g Stem Ginger Duo Biscuit Pack and a 30g Hot Chocolate Sachet. Please refer to packaging for allergen information. Makes a great gift for my sister.. She is big fan of Costa.. Thanks for sharing. Thanks for sharing, would have been a perfect gift for the wife, unfortunately my local argos don't have it in stock. Thank you for sharing really hoping they have some left as i have a big Costa fans birthday coming up and this will be a great gift for them. Wow these are perfect for any occasion gifts. Fingers crossed that my Argos has some. Thanks for posting. Thankyou for sharing. Off to look to look to see if its in argos near me for a birthday present. This is a fab present for all costa lovers . . Think i might treat the daughter as she loves a costa .